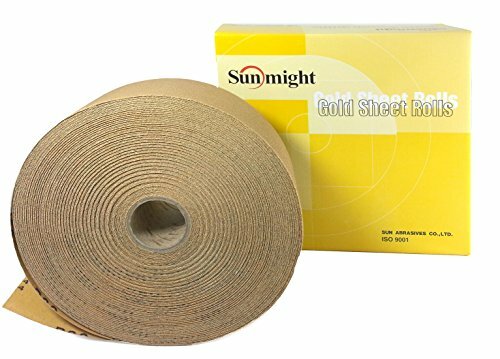 Sunmight USA is the sales company of Sun Abrasives Co. Ltd. Gold - 2-3/4" X 45 yd. PSA Sheet Roll Grit 120 Premium Aluminum Oxide Latex Paper Phenolic Resin. If you have any questions about this product by Sunmight, contact us by completing and submitting the form below. If you are looking for a specif part number, please include it with your message.